To enhance the linguistic skills of the students, language activities were conducted at Shivalik Public School,Patiala. For English, Word Hunt activity was conducted in which students brushed up their skill to use the dictionary. In Hindi, Spell Bee activity enriched their vocabulary through newer words. 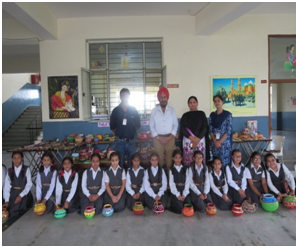 For Punjabi, speaking skills were enhanced through Just a Minute activity where students were asked to speak for 1 minute on a topic of their choice.